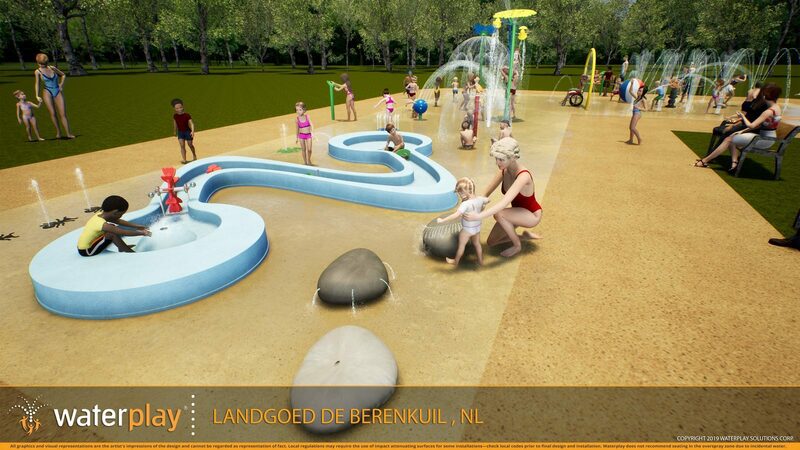 The brand new water playground at De Berenkuil, the opening of which is planned around the time of Ascension, offers unending fun in the water for the children! 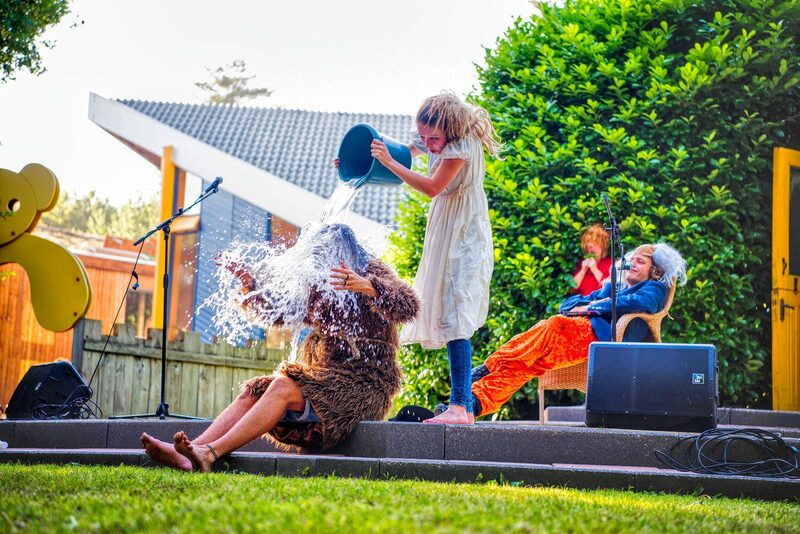 The water sprayers are sending water in every direction, turning the place into a great adventure for the little water fans! 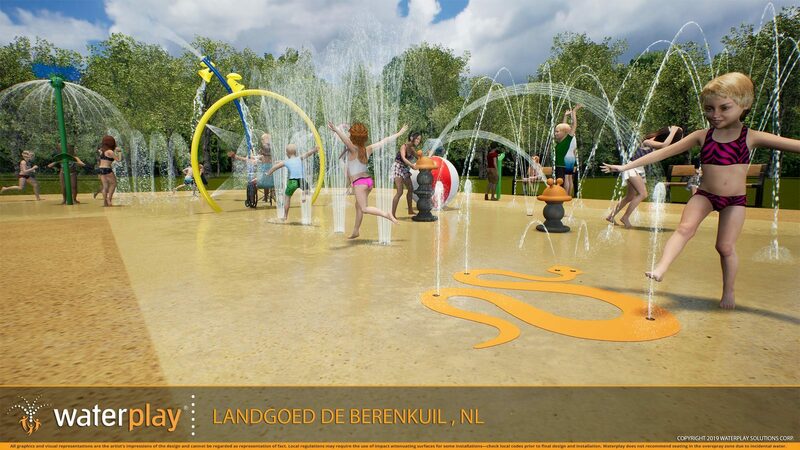 The spray park allows the kids to run, play, dance and make lots of new friends. 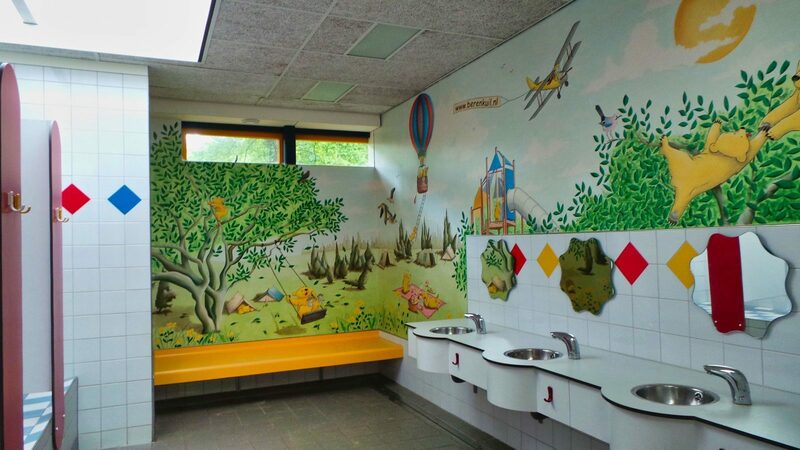 You'll be able to keep a close eye on the children from the benches around the playground, as well as take some great vacation photos as special mementos for later. 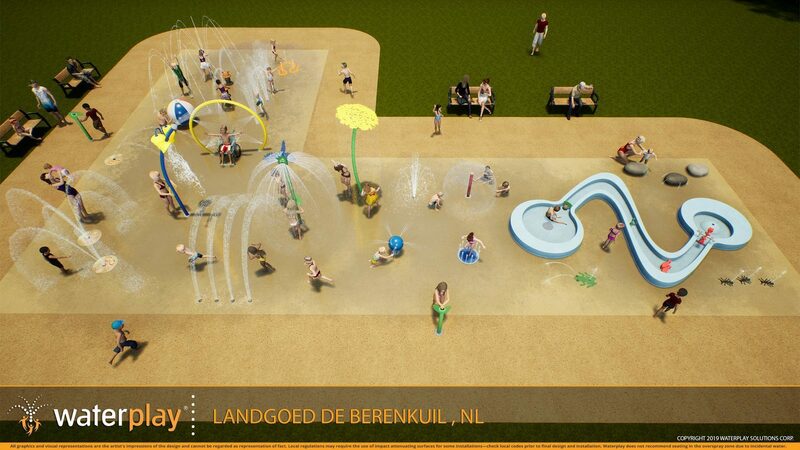 Did you know our spray park refers to Drenthe? The play pond guarantees endless fun. 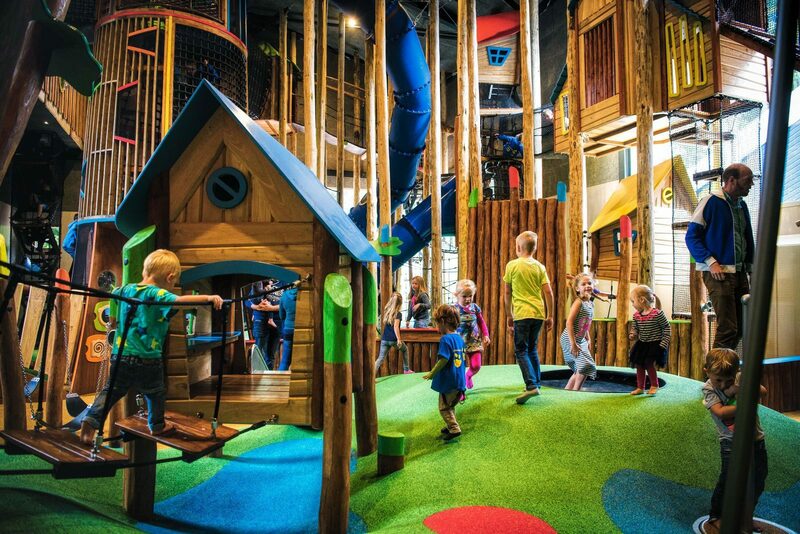 No matter the weather, guests of all ages will have a great time here! 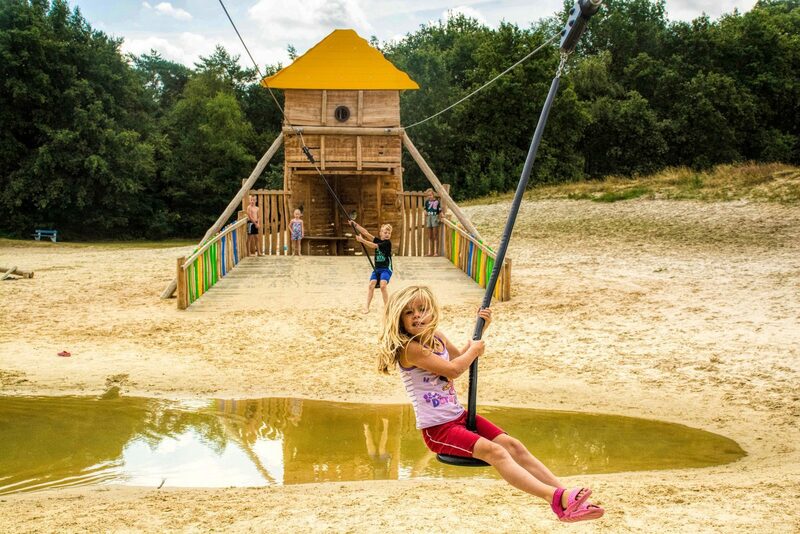 Climbing and clambering up to ten meters high, it's possible at indoor playground Tippedoki in Drenthe at the child-friendly camping of De Berenkuil. At De Berenkuil you will have fun in the water at the heated outdoor pool. 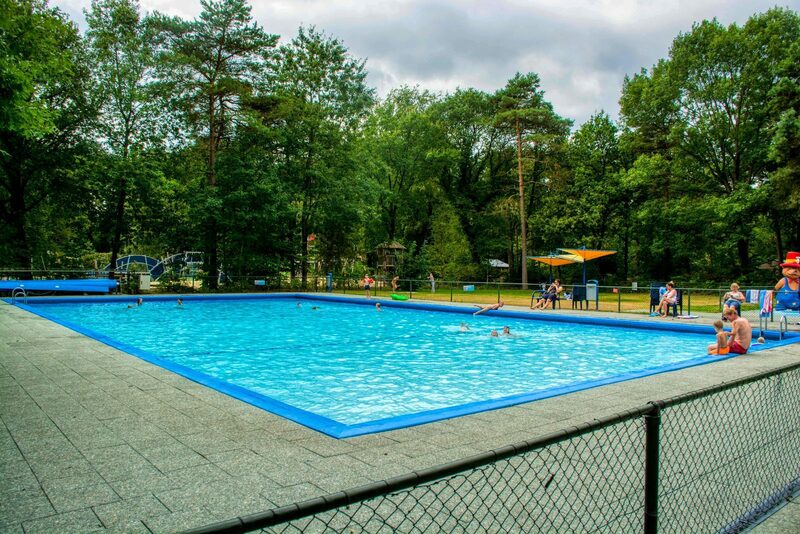 You will definitely have fun swimming at our campsite with swimming pool in Drenthe. 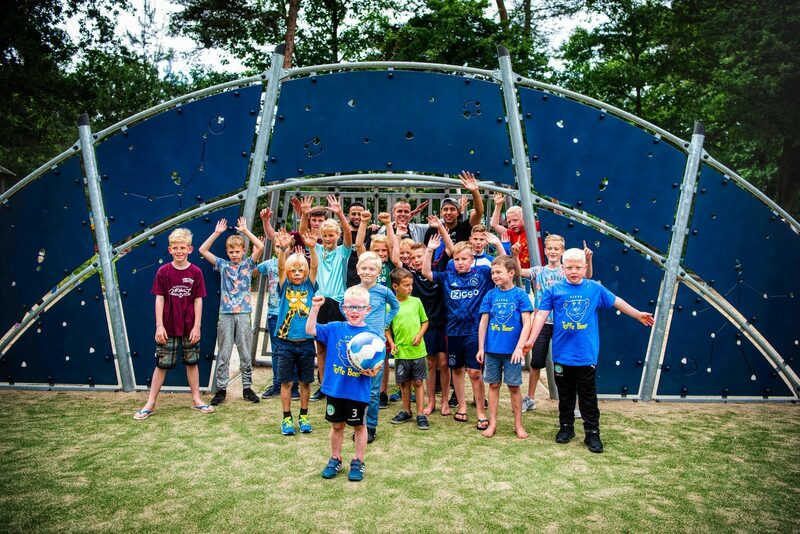 In addition to lots of fun playing and swimming, De Berenkuil has an extensive recreation program focused on children of primary school age. 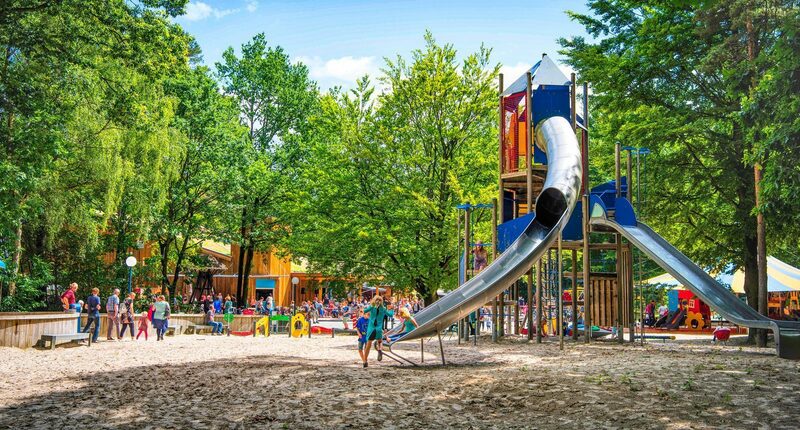 In case of bad weather, young and old alike will have a good time at Het Berenhol, our recreational space behind indoor playground Tippedoki. 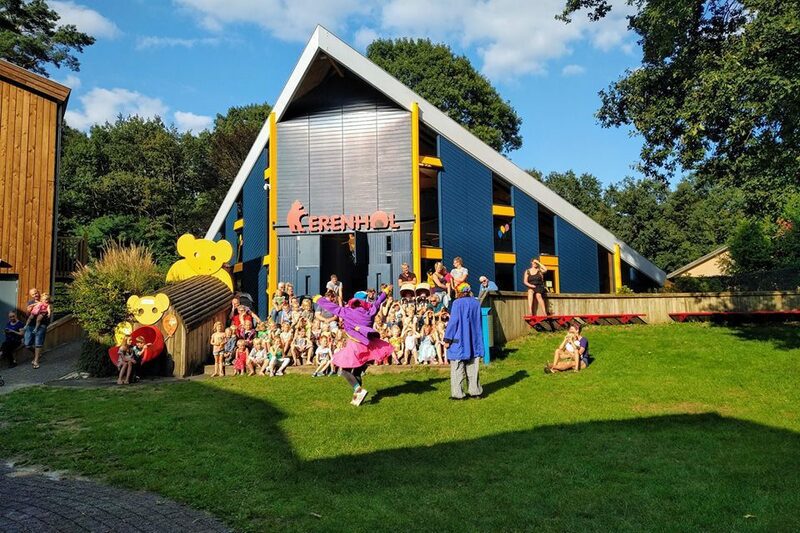 The open-air theater is the place to be for all kinds of fun activities, such as the interactive theater, the comedy night, or the children's fair. 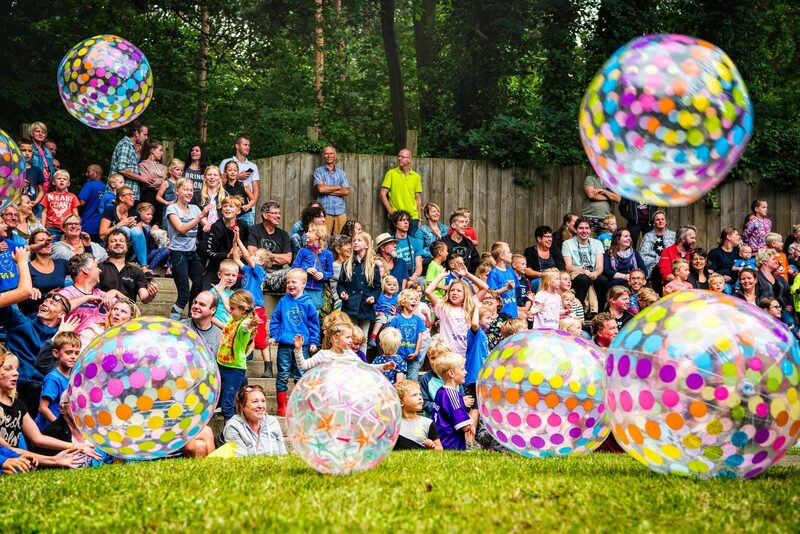 The big outdoor playground is near Het Bommelhoes and indoor playground Tippedoki, offering plenty of fun for young and old. At our multifunctional sports field, you can play basketball, volleyball, tennis, badminton, korfball, and soccer. 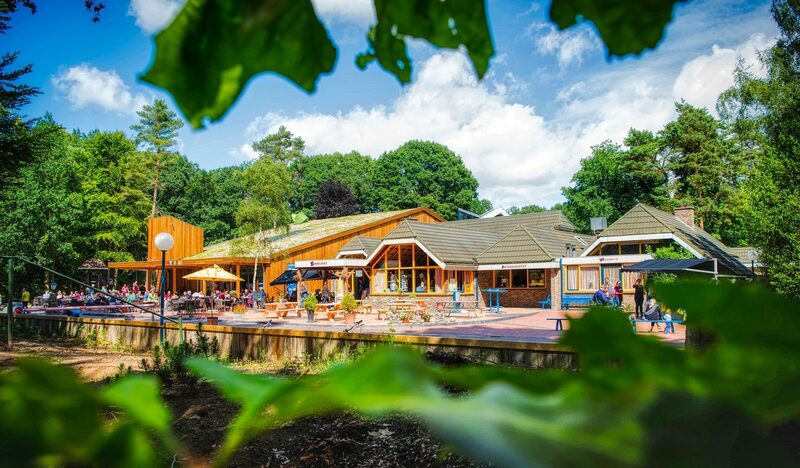 Enjoy food and drinks at Het Bommelhoes. From a large terrace you have a view of the playground. There are also takeaway options. 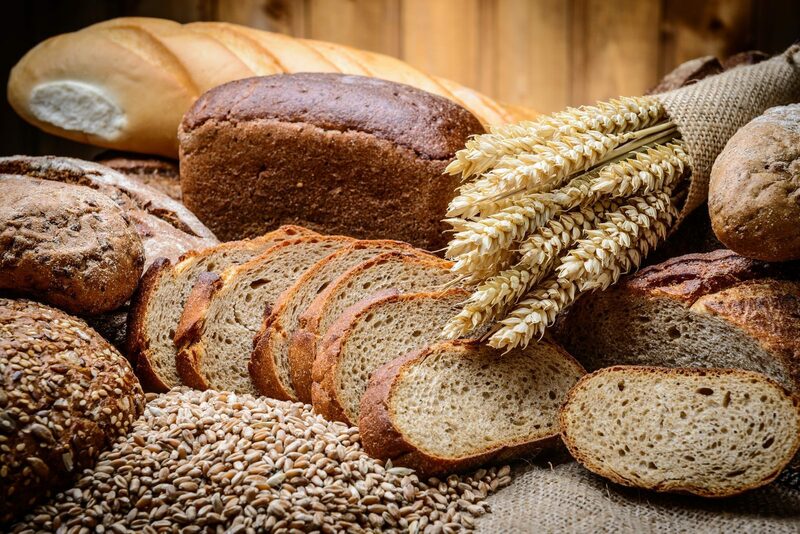 For fresh bread, dairy, fruit, vegetables, and fresh meat, you can go to our Super de Beer supermarket. 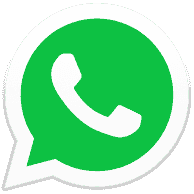 You can contact reception with all your questions. We also have information on things to do in the area. 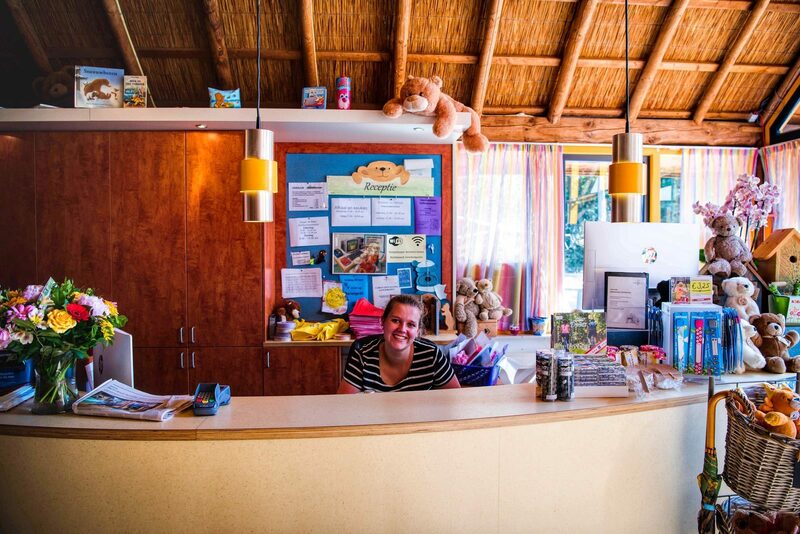 De Berenkuil has four luxury toilet blocks, with underfloor heating, a nice children's corner, and adapted sanitary facilities for guests with disabilities. 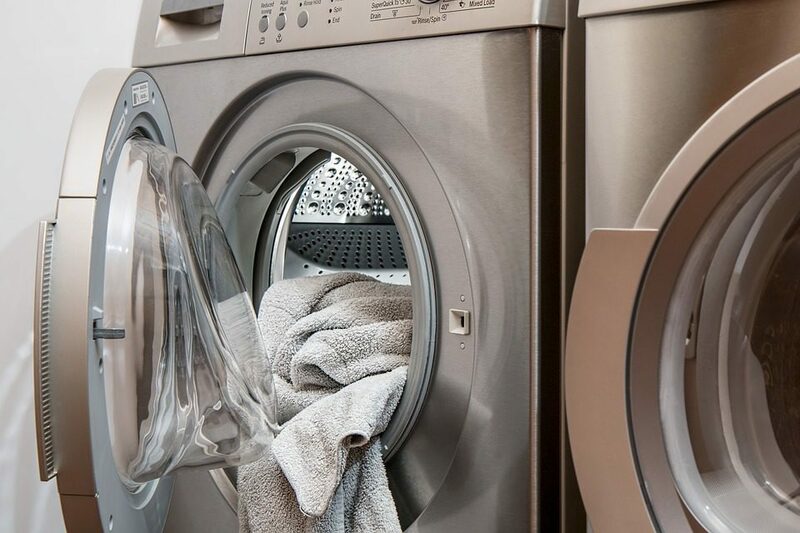 The laundromat, which has multiple washing machines and dryers, a centrifuge, and an ironing board, is open every day of the season, from early until late. Campsite De Berenkuil is situated in a unique juniper area. 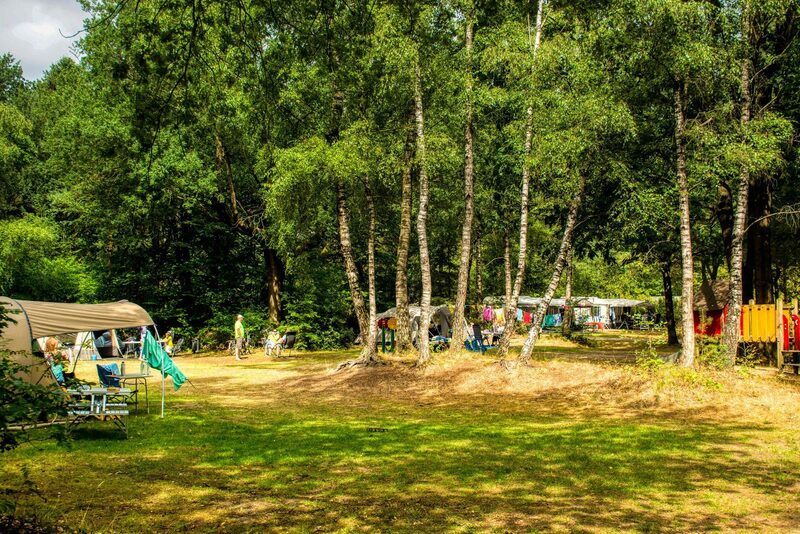 Get a taste of the real outdoor life, in the middle of the beautiful nature, at our forest campsite in Drenthe.